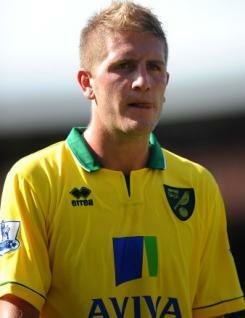 Michael Turner is a tall, effective centre back who signed for Sunderland in August 2009. Michael came to prominence as a youngster with Brentford for whom he made over 100 first-team appearances before being sold to Hull in July 2006. He quickly became a regular at the heart of the Tigers' defence and was in the side that won promotion to the top flight via the play-offs at Wembley in May 2008. Michael was a mainstay of the Hull defence during their two-season stay in the Premier League performing consistently throughout. At Sunderland he has been primarily employed on the right side of central defence and was a near ever-present in 2009-10. Although he produced some excellent performances alongside Titus Bramble at the back in 2010-11 his season was badly affected by injuries and he missed a lengthy spell after suffering a knee injury playing against Everton in November.